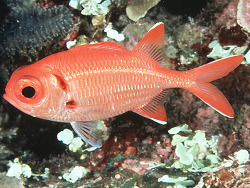 Soldierfishes and Squirrelfishes belong to the family „Holocentridae“, which is a globally distributed family with two major subspecies, the Squirrelfish of the subfamily Holocentrinae, and the Soldierfish of the subfamily Myripristinae. 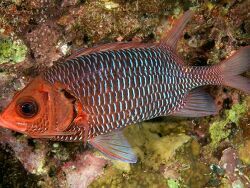 Generally they are nocturnal fish who can be seen in caves and dark overhangs in the daylight hours, occasionally coming out. 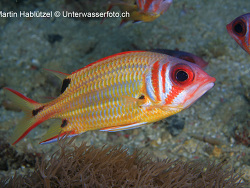 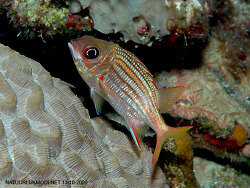 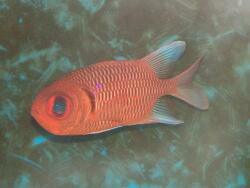 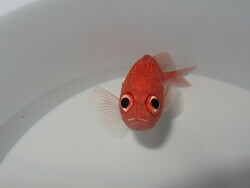 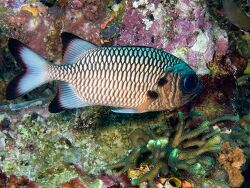 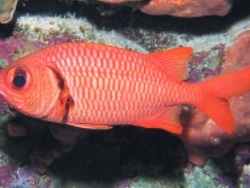 They can be discerned by their large scales, large eyes, large fin spines, and generally a red colouration. 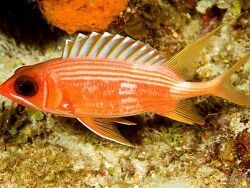 They are also known to make a very audible clicking sound, which is thought to be a signal to other members of their school. 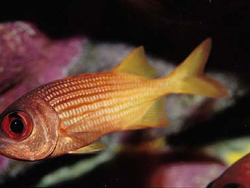 A distinct marking can be seen behind the gill slit, and it has relatively small scales. 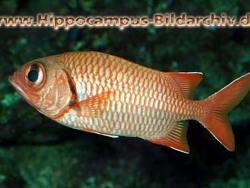 Grows to around 20cm. 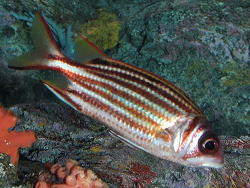 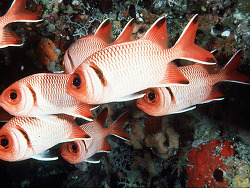 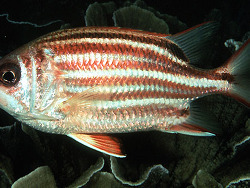 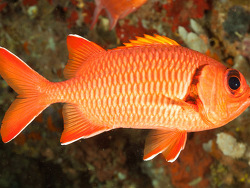 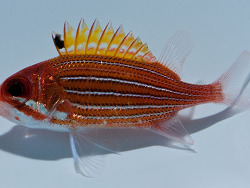 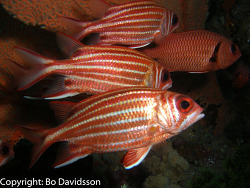 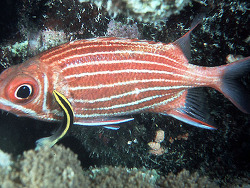 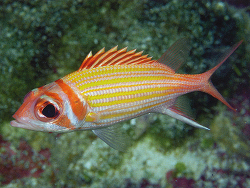 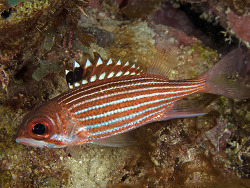 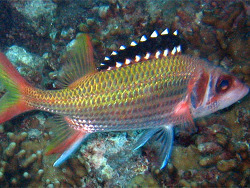 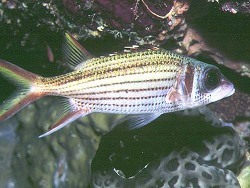 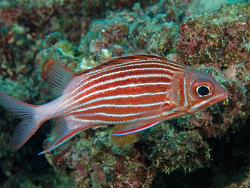 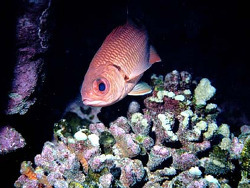 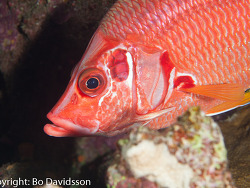 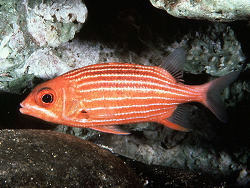 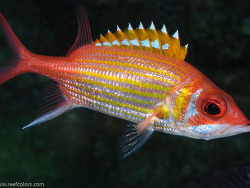 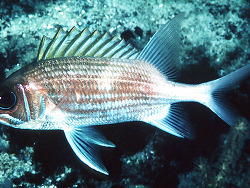 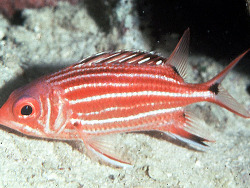 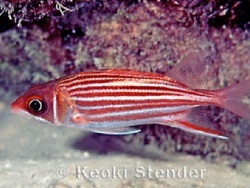 The largest of the squirrelfish, the Giant Squirrelfish, has red-edges silvery scales, and has a large easily-seen spine at the bottom of the gill cover. 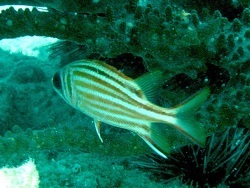 It grows to around 45cm, and has a yellow tint to its fins. 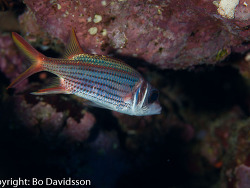 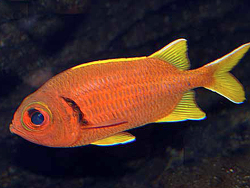 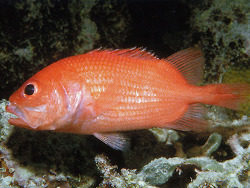 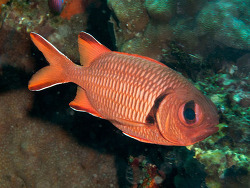 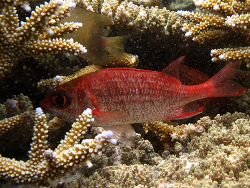 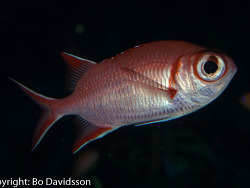 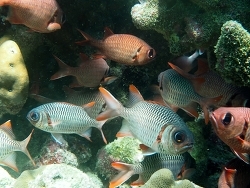 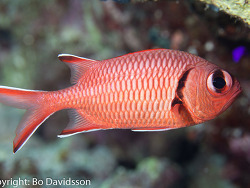 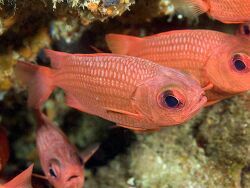 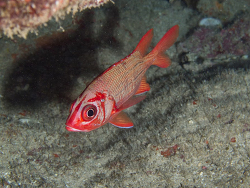 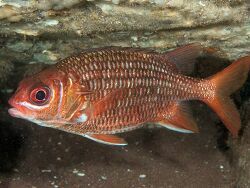 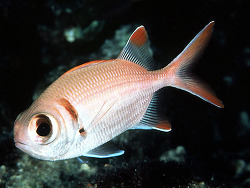 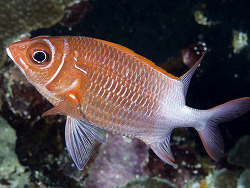 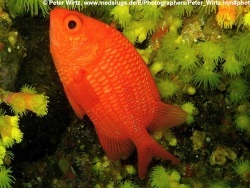 Squirrelfishes enjoy zooplankton; larvae of crabs and other crustaceans and like the soldierfish, are seen resting under ledges and inside caves during the day. 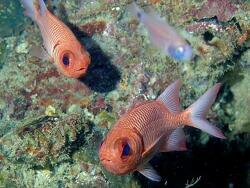 As their large staring eyes may suggest, these fishes are night feeders.